Hello all! My coworker shared another great recipe with me. I’ve made it about three times now and it has definitely been added to my dinner rotation! It’s that good and so easy, perfect for a weeknight meal. It has become my go to meal on Wednesdays because I take a late Y Strong class. I have everything prepped and my husband can have dinner ready as soon as he makes it home, which is normally an hour and a half before I make it back in from the gym. 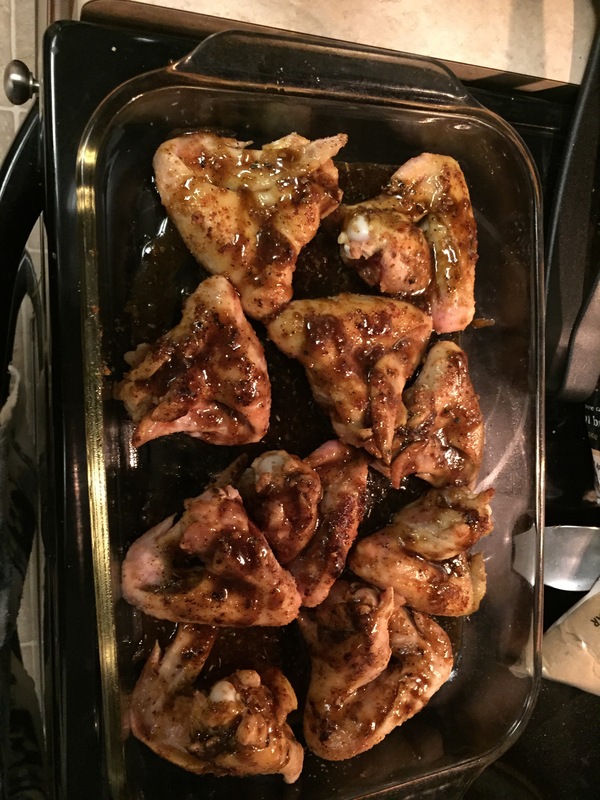 Season chicken thighs with salt and pepper, to taste. Melt 2 tablespoons butter in a large oven-proof skillet over medium high heat. Add chicken, skin-side down, and sear both sides until golden brown, about 2-3 minutes per side; set aside. Melt remaining tablespoon butter in the skillet. Add garlic, and cook, stirring frequently, until fragrant, about 1-2 minutes. Remove from heat. 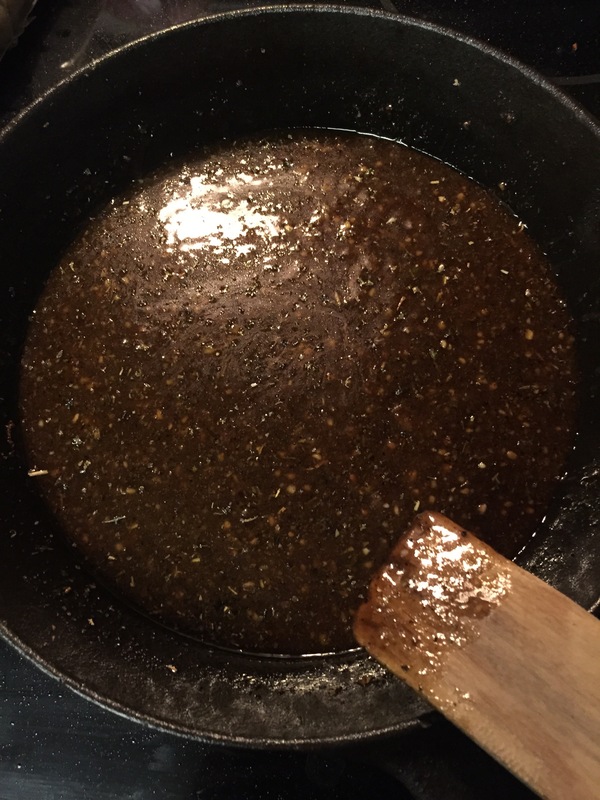 Stir in brown sugar, honey, oregano, thyme and basil until well combined. 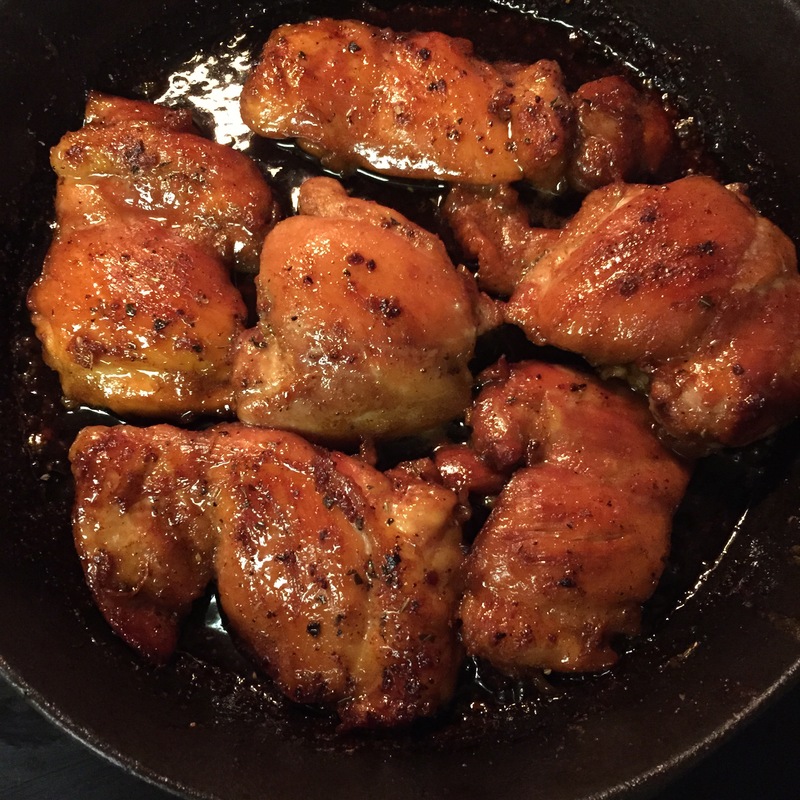 Return chicken to the skillet. Place into oven and roast until completely cooked through, reaching an internal temperature of 175 degrees F, about 25-30 minutes. Serve chicken immediately, garnished with parsley, if desired. Mods: I’ve found that doubling the sauce makes it that much better! Definitely use bone-in, skin-on chicken, and wings are great too! Have you made any new Culinary Delights? This entry was posted in Culinary Delights, Recipe. Bookmark the permalink. Thank you for reading and commenting! You will love it!